Wish you had some lace of a specific color? Have lots of white or off white lace and some craft paint? You can easily dye your own lace. 1. 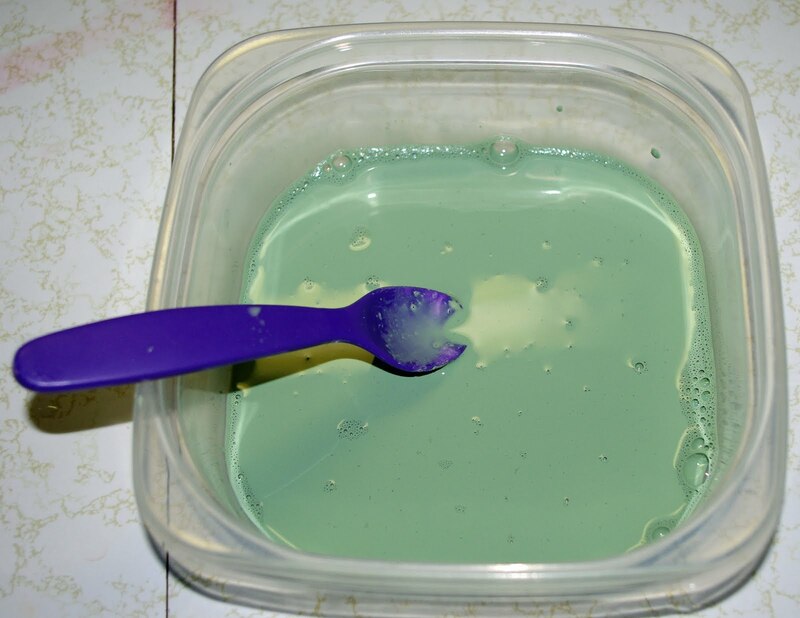 Mix paint and water to a milky consistency. About 5 water to 1 paint ratio. 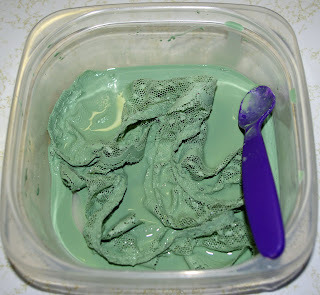 The more water, the more translucent and lighter the dye. The less water, the deeper and more opaque the dye. Too much paint can make the lace become stiff. 2. Add lace and stir to coat all of the lace with the dye bath. 3. 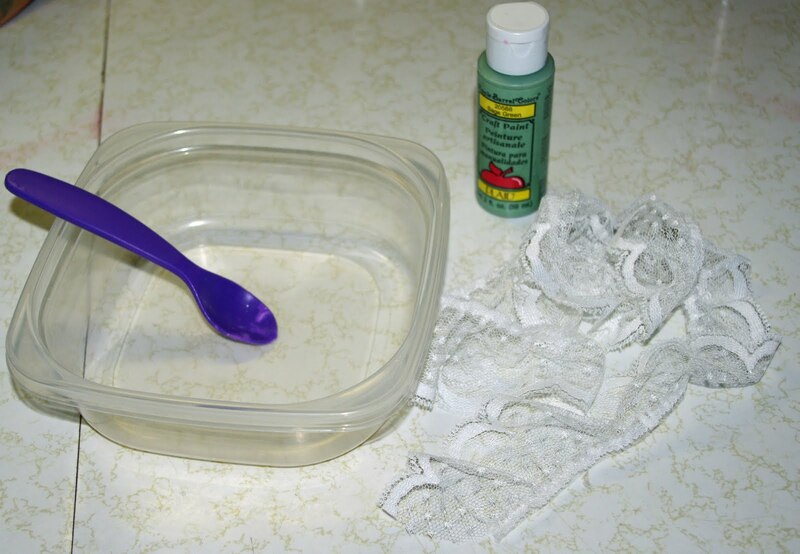 Lay or hang the lace to dry somewhere you don't mind a bit of paint drippings. I use our chain link fence, a tree, or bush (in this case). Do not rinse. I have heard about this and so glad to be reminded of this. I knew some people who would dye fabrics for costumes to wear in pageants. - Glad to know how to do it. Wow! That is so cool. I would have thought it would be stiff. Thanks for sharing!